There was probably no better fitting place to begin our Nakba tour than on 48 The Kovshim (the conquerors) Street, where we met our guide Omar from ‘Zochrot’. 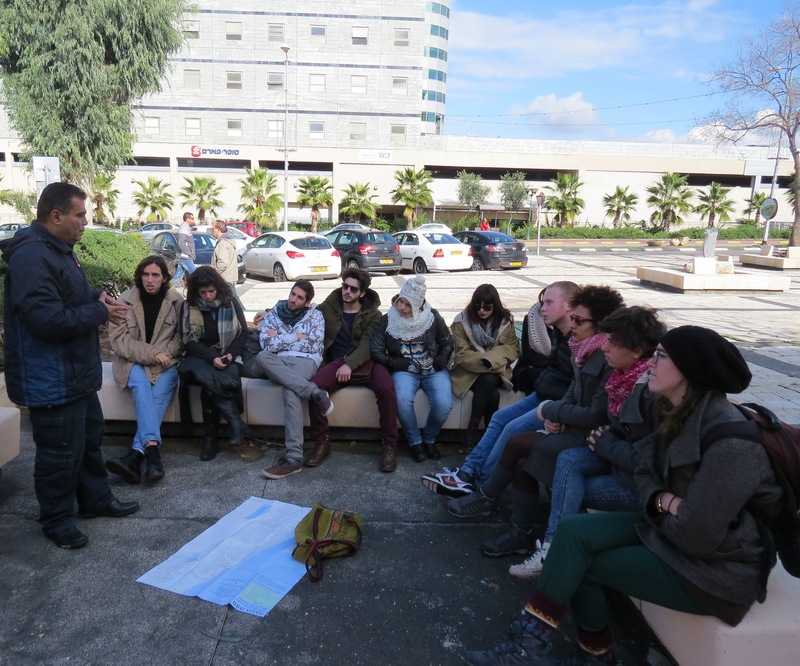 Omar told us about the vast neighbourhoods of Jaffa that reached up to today’s Neve Tsedek, and about the city’s prosperity before the Nakba: it had cinemas, theatres, many daily newspapers and an important central harbour. We continued to the Hassan Bek mosque, still used for prayers today. Omar related the struggle of the mosque’s land owners with the Tel Aviv municipality over their proprietary rights, while the area is used as a parking lot until a decision of what to do with it will be made. 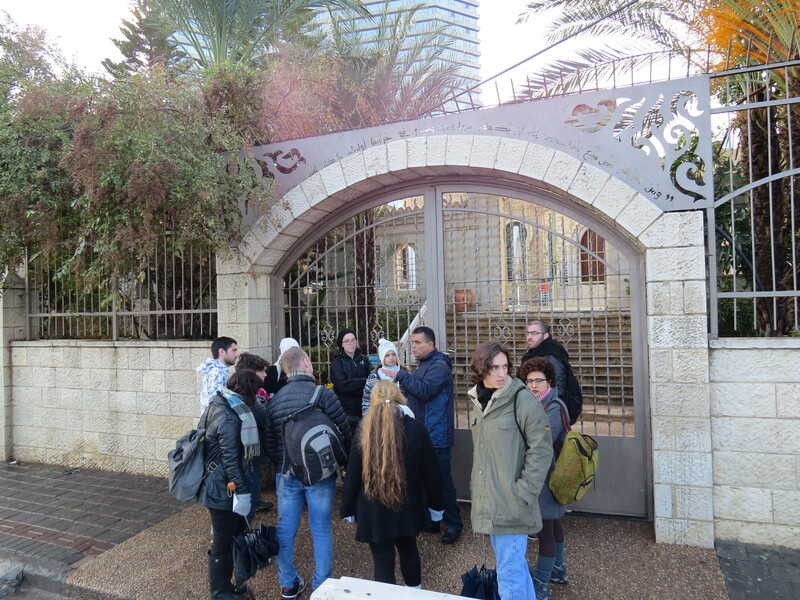 Another stop in Jaffa was the Etzel museum, where we spoke about the occupation of Jaffa which started with a massive attack of Etzel on the city. The destruction was catastrophic, and tens of thousands of residents remained without a place to live, with some even having to buy their houses again. After a few stops in Jaffa we started driving north. 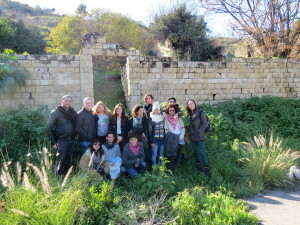 The first stop was Nesher, built on the ruins of the village Balad A-Sheich. Approximately 4,000 people lived there before the Nakba. Omar told us how the village was the centre of many violent events. 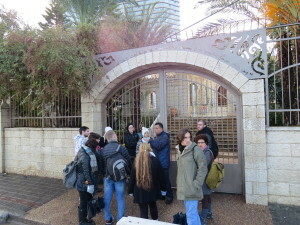 During one, Etzel fighters dropped bombs which led to the killing of 6 Palestinians at the gates of Haifa’s refineries. As a result, the Arab factory workers massacred 40 Jewish workers. The chain reaction reached its peak as the Hagana attacked the village as revenge, with over 60 people massacred. 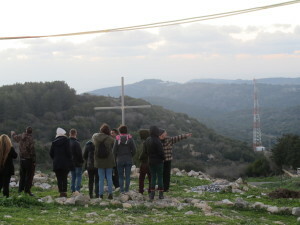 As the fighting continued, all villagers were encouraged by the British to leave their homes, and only a few remnants are left to this day – the Muslim cemetery where Sheikh Abdallah Al-Sahadi is buried and two houses which are used by Chabad – where we visited. At the end of the day we reached the displaced village Ikrith, where we met the young generation of Ikrith diaspora who decided to go back and live in the ruined village as a political act. We heard about the village’s displaced residents who were evacuated by the IDF during the independence war (they were promised they will be able to come back in two weeks) and since then had not been permitted to return to their land. 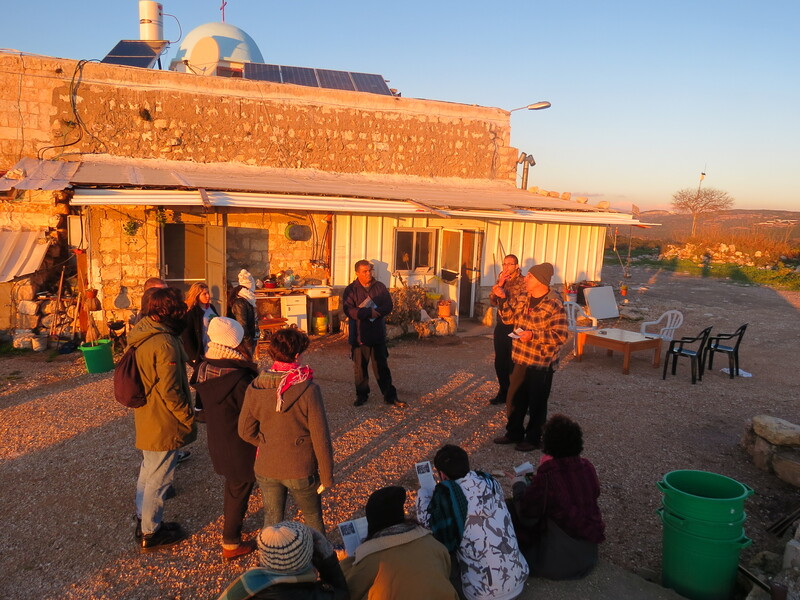 During the fascinating meeting we learnt about the persistent, just and long struggle of the village descendants, mostly idealistic youth, to enable the village’s refugees and their families to return to it and receive the Israeli state full recognition of the village. 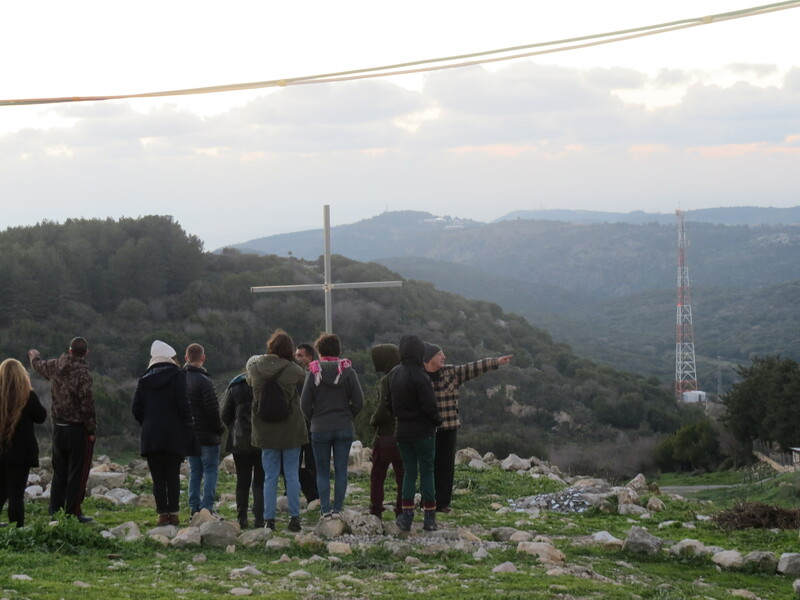 We were very moved by the encounter, we couldn’t help but admire the determined and important struggle they run, and especially their optimism, although their struggle is still far from over.